Madeira is such a beautiful island offering wonderful flora and fauna, great fresh food, lovely people and breathtaking views. It is easy to travel around by car and even children will love the place. What we liked most are the hiking paths along the irrigation system, called "levadas", that run like a network through the isle and provide excellent walks into nature. You will pass by waterfalls, tunnels and great vantage points. The shores of the volcanic island of Madeira are mostly stone cliffs, so a trip to the little isle nearby makes a stay perfect: Porto Santo is easily reachable by ferry (recommended) or airplane and will charm you with its golden sand beach. Casa do Mercado. They offer charming little apartments. We had the one on second floor and really felt at home. It has just the best location, too! You can book it here. Sé Boutique Hotel. Hotel with a rooftop terrace. The rooms with view should be nice. You can book it here. Gavião. Excellent well-known restaurant with daily fresh fish and perfectly grilled meat. Londres. An institution – try their bacalhao (codfish) with tomato onion sauce and other traditional dishes. Pizzaria Pico da Atalaia. Ultra thin pizzas and other dishes, they also have a small courtyard to sit outside. Ritz. Take a seat on the first floor of this charming cafe and overlook the municipal garden. Don‘t miss a ride on the cablecar Teleferico. The ca. 15-minute ride will take you up to Monte, where . . .
. . . you can visit the beautiful Monte Palace Tropical Garden. The old pretty fishermen village of Câmara de Lobos is not far away. It is the place where Winston Churchill, Charlie Chaplin and others used to relax. 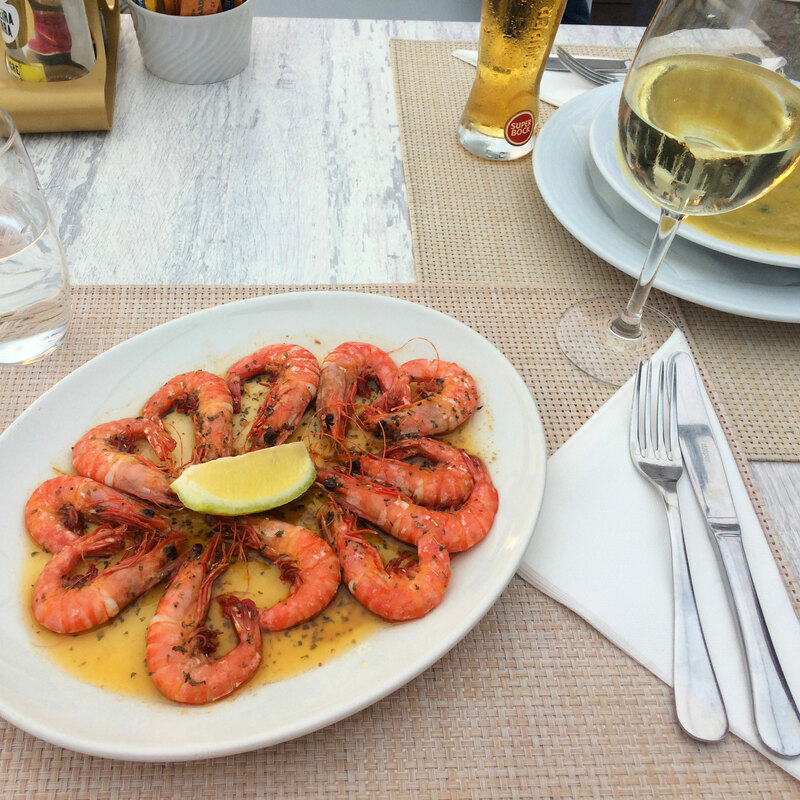 If you love fish, try Vila do Peixe, it offers great food plus a nice view over the ocean. Enotel Baia. This 4* hotel complex is hidden behind the facades of many little houses. It sits right in front of the coast and offers seaview rooms including a convenient free car park. You can book it here. Mare Alta. Here you can get the most beautiful sunset views while eating fresh fish or one of the traditional meat skewers (espedata). The Small House. A tiny beer bar with terrace offering also nice snacks. The old pharmacy. Cute little store and café combination. 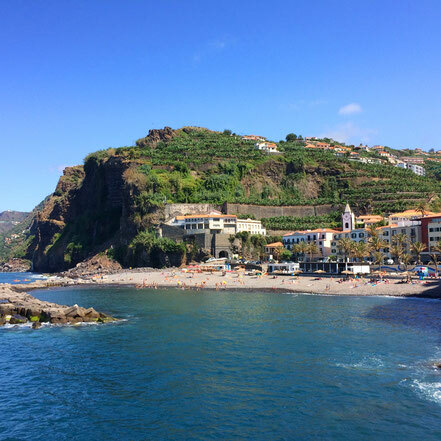 Ponta do Sol is a sunny spot and you can easily spend a day bathing. It also has a good location to make day trips, e.g. to the 25 Fountains Levada (and Risco waterfall) or to Porto Moniz with its natural lava pools. From Funchal it is a relaxed way to reach the little island of Porto Santo by ferry. You can book the tickets online via Porto Santo Line. The 2.5 hour ride can become a little bumpy but they say you might see dolphins now and then. After arrival you can take a bus or a taxi to your hotel (if you did not bring your car). 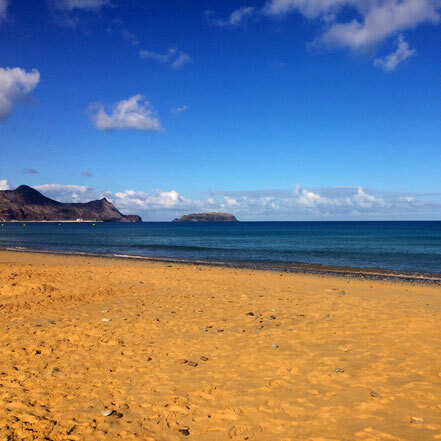 Hotel Porto Santo & Spa. This is an atmospheric 4* hotel in Campo de Baixa with charming mid-century interior and architecture. It is located right at the beach and has a nice outdoor pool, lawn, terrace and a spa building as well. You can book it here. Vila Alencastre. Restaurant with nice terrace serving Madeira classics, like scabbard fish, parrot fish and espedata skewers. Casa d‘Avo. Listen to jazz tunes and enjoy the tasty dishes. Bar Atlantico. This bar belongs to the above hotel but can also be visited by public. Apart from sunbathing, swimming and discovering the small island, try to catch a moonless night to gaze at the starred sky. We had the feeling that we could see the Milky Way! These little aqueducts were created hundreds of years ago to bring water from the Northern part of the island to the drier South. The bonus effect is that they provide perfect paths to walk along. 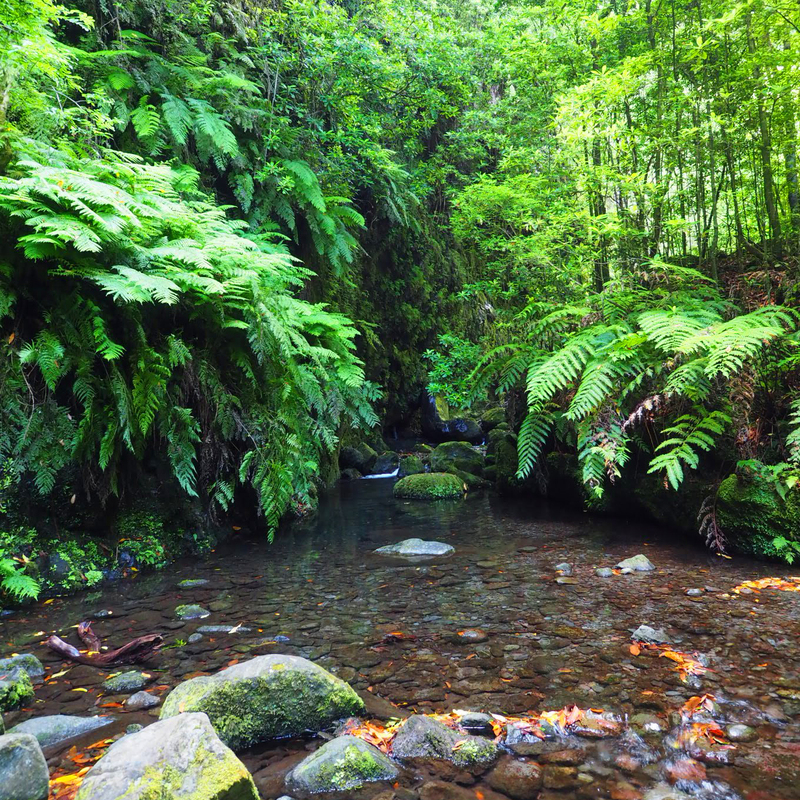 The Levada network makes it possible to discover Madeira by hiking through its amazing landscape. 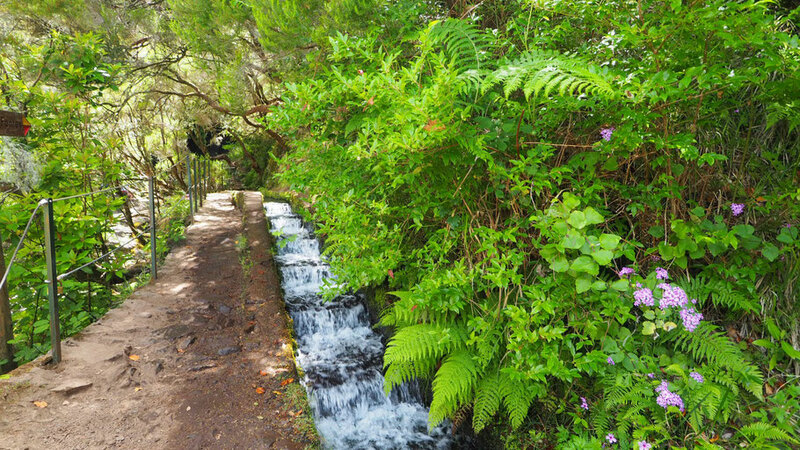 Levada das 25 Fontes / Levada do Risco (~10km): This is probably Madeira‘s most popular walk. 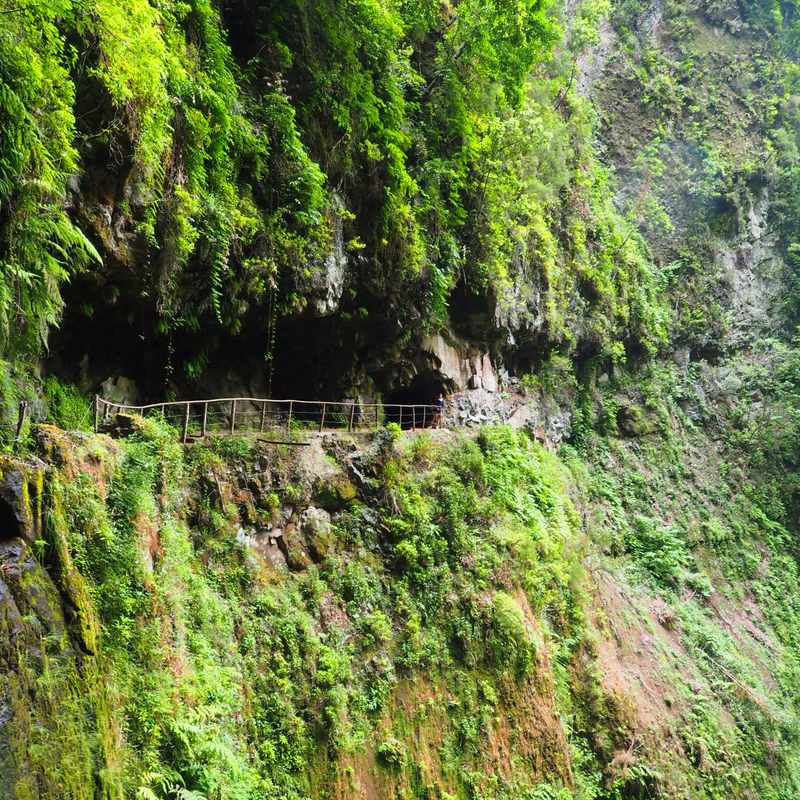 It leads you to the 25 fountains and the impressive Risco waterfall. Start the walk in the morning as the crowds normally come after noon. Starting point is the parking at Rabacal, from where you have to walk down to a little hut with cafe to start. 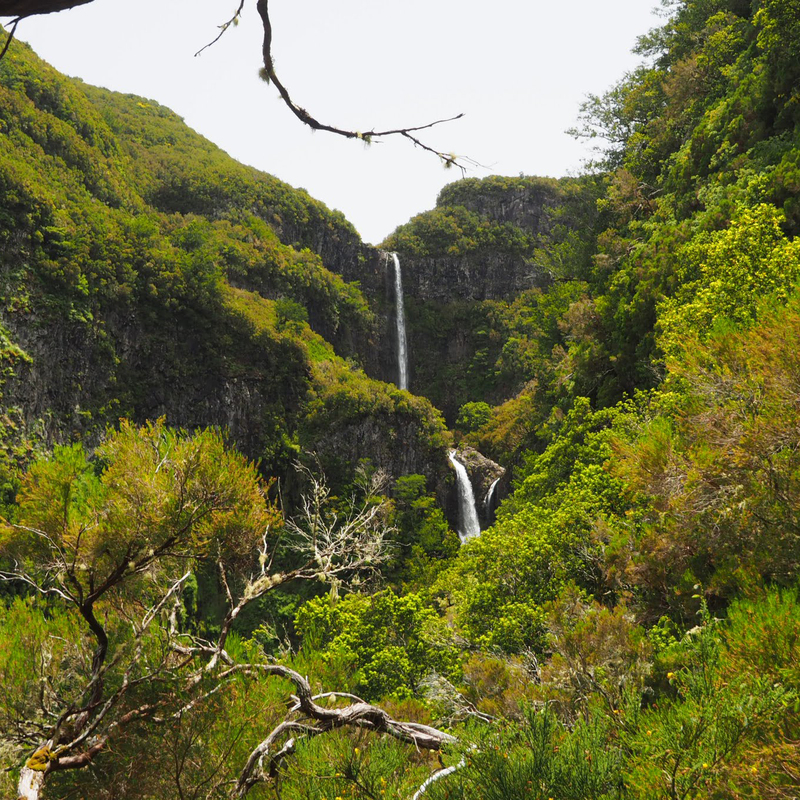 We would recommend to do the walk to the 25 fountains first (just follow the signs), walk back and then to the Risco waterfall. Instead of walking back up to the parking you can also use the minibus service for 3€ per person. 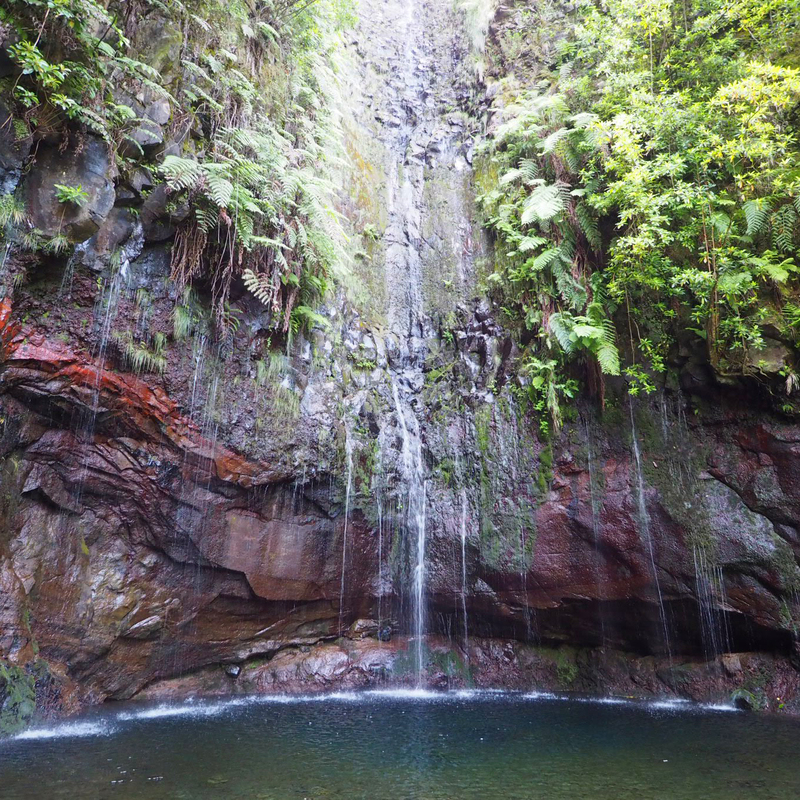 Levada do Rei (~10km): As we had no car, we did this as a guided tour with Lido Tours. With our guide Rubinha we started walking from the cafe in São Jorge and enjoyed a very nice hike with mountainous scenes. One mini tunnel and waterfall included. The end (and turning) point is Ribeiro Bonito, a beautiful river. 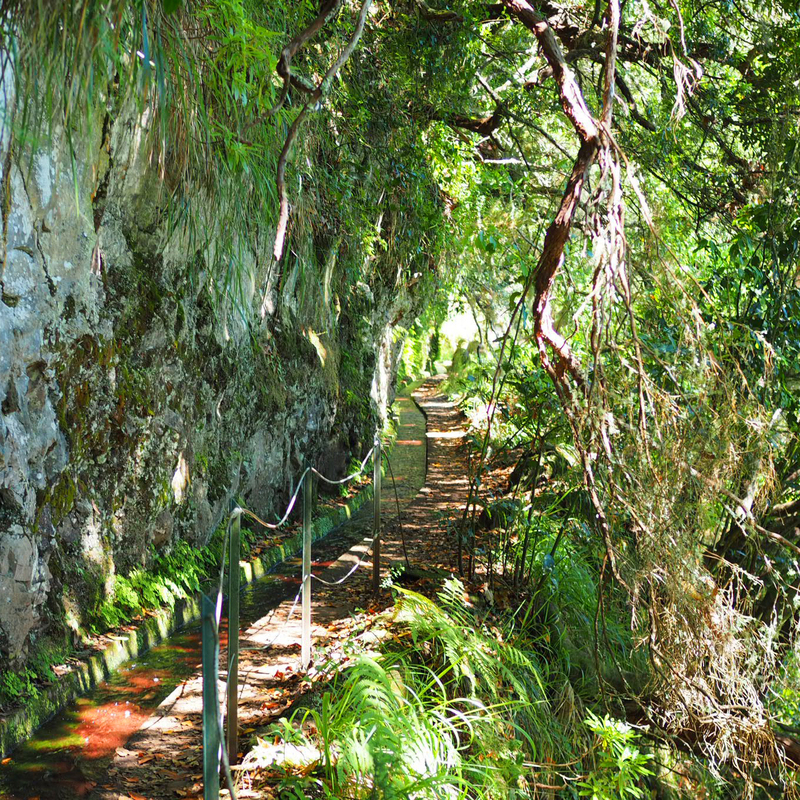 Levada da Ribeira da Janela: This is a long and challenging Levada if you do the entire walk (more than 20 km with around 10 tunnels). We just did a part of it and were amazed. Starting from the Miradouro parking of Lagoa-Lamaceiros (close to Porto Moniz) we started walking around 5km along the Levada to reach the first tunnel. It leads to a beautiful waterfall. There we turned and walked back along the canal where you can even see fish swimming in. ALWAYS mind your step and only take pictures while standing firmly. Paths can be slippery and steep! Madeira is known to be a flower island (especially in April). Next to all the beautiful blossoms we saw, we walked through eucalyptus forests, laurel forests and saw how big plants become on this rich spot of the world. A simple dandelion mutates to a tree! Next time we really want to try some other Levadas like the Ribeiro Frio or the one up to Pico do Areeiro (known to be quite challenging though). 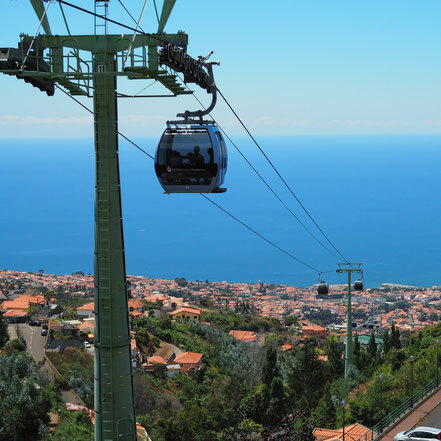 Visitmadeira.pt has a good overview here. Fish & Seafood: With kilometres of coastline the variety of fresh fish and seafood is great on Madeira and Porto Santo. Most popular are scabbard fish Espada. It has a white ultrosoft texture and there is a traditional dish combining it with banana and passionfruit sauce. As for Portugal, codfish Bacalhau is a classic, too. We really liked the version with tomato-onion-sauce. Often you will also find these guys on the daily menu: parrotfish Bodiao, grouper Garoupa, dorade Dourada, seabass Robalo or red marlins. Best just grilled and salted! Many restaurants offer grilled limpets Lapas. We were just able to smell the buttery flavour from a table next to us. Not to forget: shrimps, prawns, lobsters and mussels. 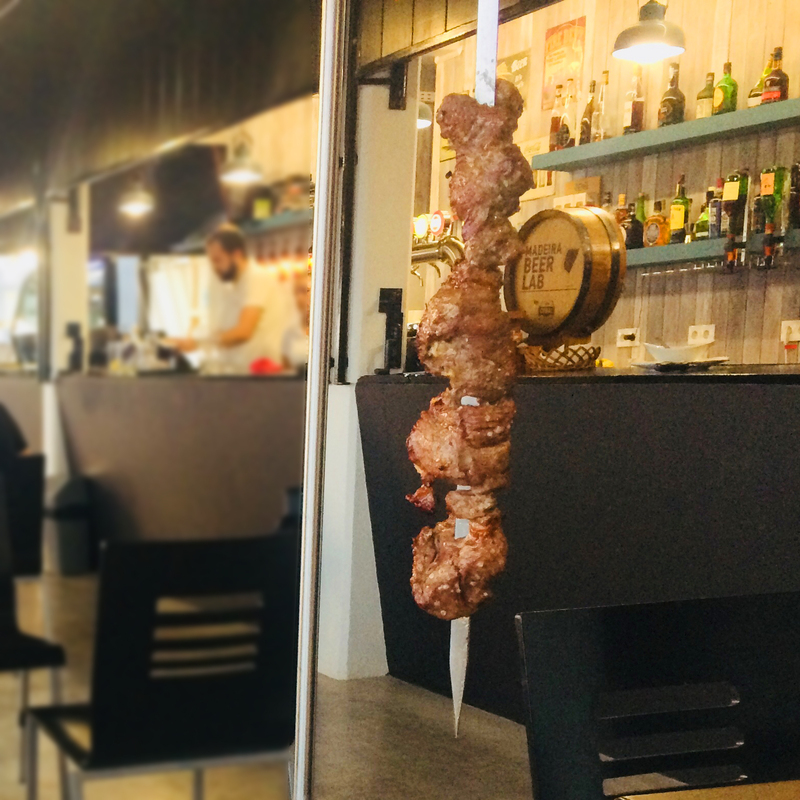 The most favourite dish are the huge skewers called Espetada. Often the beef chunks come speckled with some garlic. The cattle is often grazing over the clouds, maybe this is why their meat is heavenly tasty. The fertile island provides perfect grounds for fresh fruit and vegetables. You will probably see the big banana plantages. Also banana-maracuja, pineapples, passionfruit, grapes as well as avocados, sweet potatoes, olives and corn can be found locally. A tasty dish is Milho Frito. Fried cubicles of corn mash (fried polenta) served as a side dish. Bolo do Caco. This flat bread is traditionally baked on a stone (caco) and served with melted garlic butter inside. A perfect souvenir to bring home is the brown and juicy sugar cane tart called Madeira cake - Bolo de Mel. Madeira. This iconic wine comes in a dry seco and sweet doce version. A sweet 10-year-aged Madeira is perfect as a dessert wine and goes well with a cheese platter. Vinho Verde. What they call "green wine" is a white wine with a light sparkling hint. Poncha. This is a traditional yellow mini cocktail made of sugar cane liquor, lemon juice and honey. 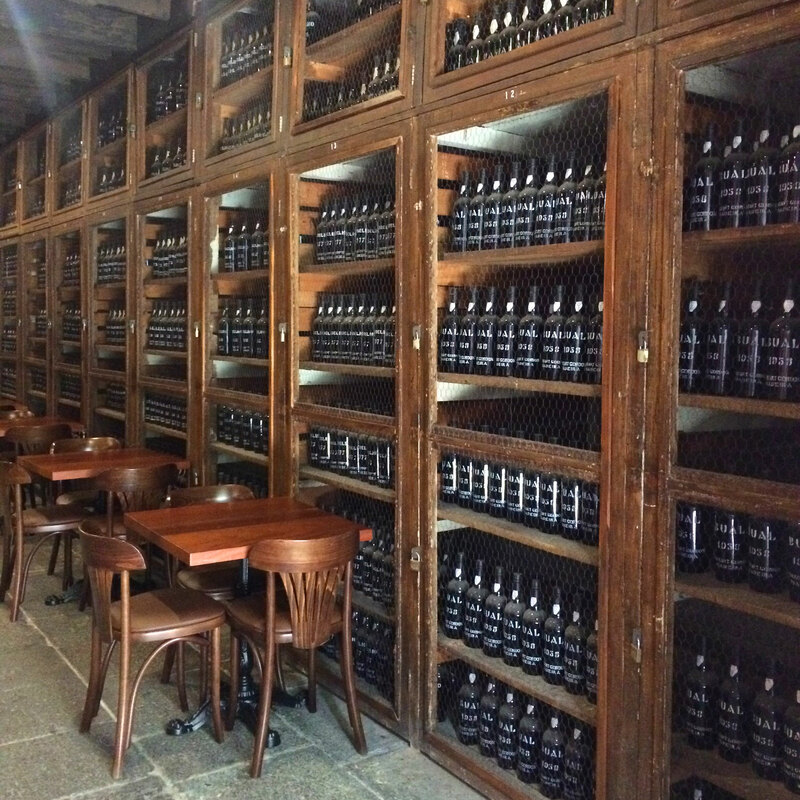 Madeira has a beer brewery and produces the Coral Lager.